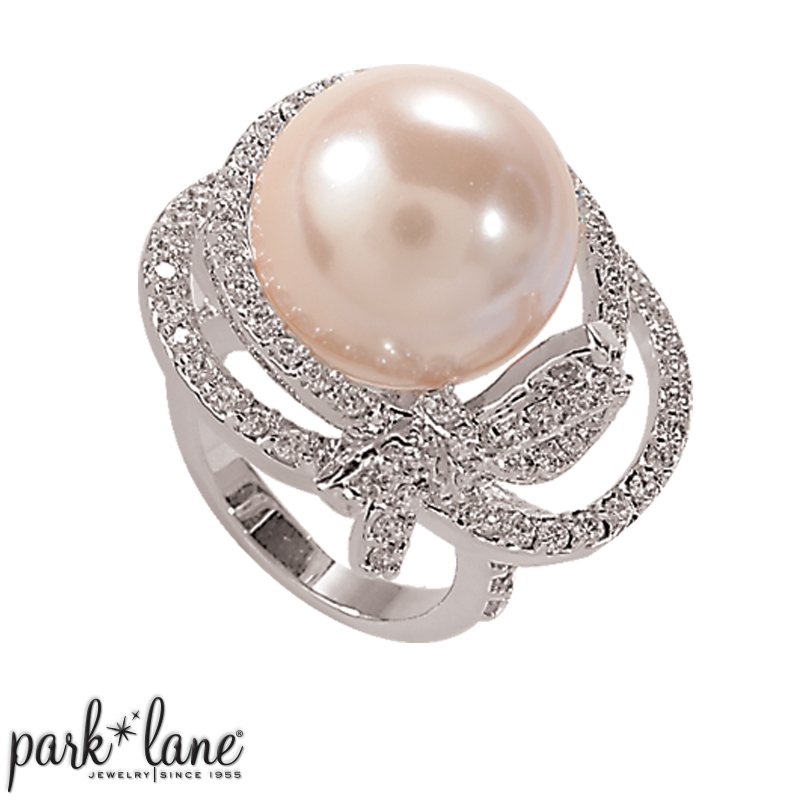 Mounted atop a spectacular setting of glittering CZ orbit swirls, KATE`s pale peach glass pearl takes center-stage! A tiny bow adds a sparkling final touch. Eye-popping and designer-influenced KATE will daze and amaze!